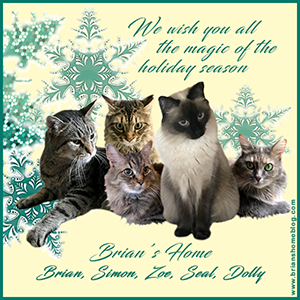 The Canadian Cats lost Kali a day ago; please visit to give purrs and hugs to Shoko and her people as they mourn. What I saw as I climbed into The Cat Car this morning! Last Friday, I left the office early, which meant I was actually driving in daylight! As I navigated my usual route, I noticed stuff in the brush, in the middle of an industrial area. Garbage? Homeless folks? Nope, it's a feral cat colony! Those boxes are shelters, and I've been driving past for over four years without noticing. When the leaves are out, no one can see this, unless specifically looking. The average person has NO IDEA, and that's exactly what feral cat colony caretakers want: invisibility. I hope to witness the caretakers there someday, and offer financial or food donations. After all, I have my own feral cat colony, which is hidden in plain sight on our back deck. We painted The Cat Hotel and Mama's House in the same grey paint that our house is painted with; blending in is the key. Gotta say, this colony is blended in very well. Anyone who cares for the community cats away from their home gets a big HURRAH from me! exploration of the delivery box! I am thankful for my friends, who send me photos of their cats. Love to see them! The boys above are from P&M in Florida, and these are just two of their cat family. Mango is fluffalicious, and Rusty is all ginger boy! I want to reach into the photos and smooch them! Aren't they too cute? And, we are very thankful for the well-wishes for Patty O'Malley! Random Felines and many others suggested Veterycin spray, and I've been spritzing his wound at least twice a day, more if it is not raining buckets or the temperatures outside are too cold. Although not pretty, the bare spot appears to be healing, or at least not infected. I don't want to get ahead of myself, and bring bad luck. Your prayers and warm fuzzies mean all the world to us! Thank you. Okay, a day late...but, we're still hopping! Some kitty decided that this box needed adaptation! The pieces were carefully strewn about. The fancy art critic says, "The uneven edge represents the vagueries of life, while the viciously ripped out fragments mimic the complexity of the cosmos." Or, some kitty attempted to make enough noise to convince the humans to get up sooner rather than later, and feed some kitty! Update on Patty O'Malley: Well, there really isn't an update. I've been spritzing his wound with Vetericyn as often as I can. We've had terrific rainfall for about 24 hours, though...cannot spritz much in a downpour. Last night, I was convinced that we needed the veterinarian, and yet this morning, it wasn't too bad. Any photo of this is too icky to post, so you'll just have to take my word for it. Now that it's dry outside, I'll sit out on the deck, with the cat in my lap, and really get a good look-see. Of course I love our kitties! The Hubby does too, and we give them play, warm beds, good food, and belly rubs. In return, they give us these...heart-shaped peeballs in the litterbox! Guess the one left on Valentine's Day (Happy Peeball Day) was just the beginning of a 'stream' of hearts! And while thrift shopping over the weekend, I scored this adorable sweater...with cats embroidered on it! 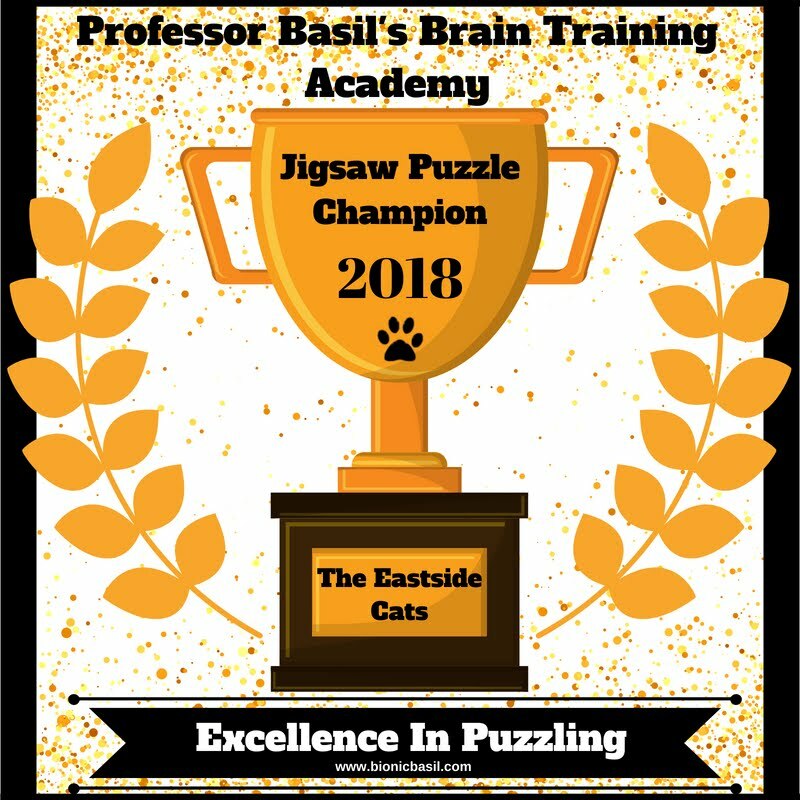 Johnny from Pets Overload awarded Eastside Cats a Supawstars Spotlight Award for February 2018! 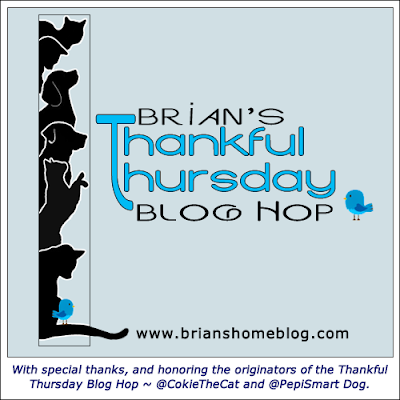 We are humbled by such generosity, and appreciate the positive feedback for our blog. The Island Cats: Zoey, Wally, and Ernie make me smile every day, and the woman with the yellow hair who is their catsecretary is crazy-pants in love with each of them! Wandering Cat Studio: A wonderful blend of knitting, quilting, and cats! So imaginative, and artistic. 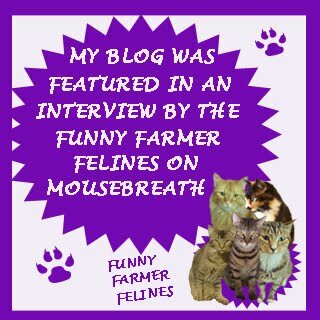 Four Legged Furballs: Just the doodles alone are adorable, but three kitties and one goggie have wonderful stories to tell! A Proper Bostonian: Floofy cats galore, and an interesting outlook on life, love, beauty...and Boston! Not to mention tea, brewing tea, and purchasing the correct tea kettle. 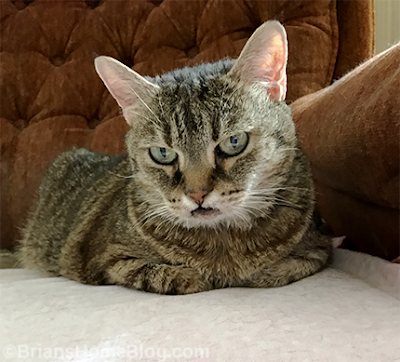 I Have Three Cats: Observations on living with cats, written with quiet humor, that usually leave me pondering the human/feline relationship, and learning new things with every post! 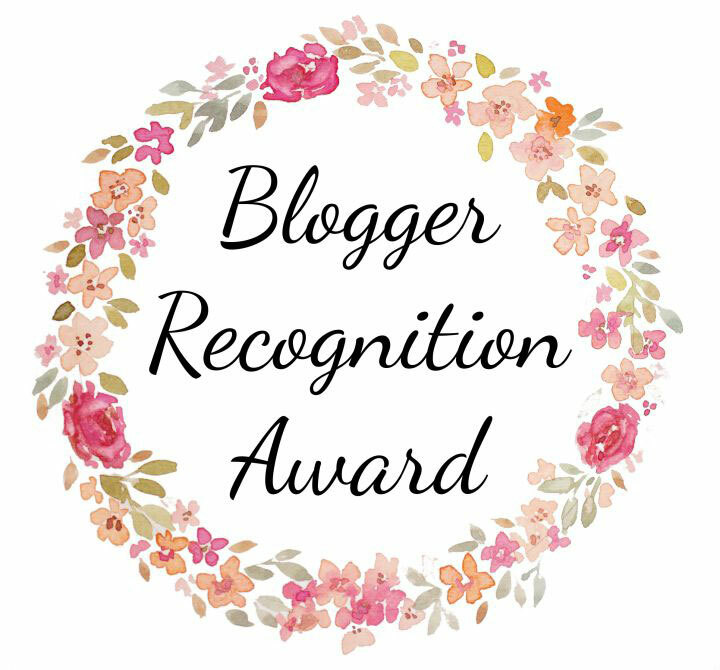 Off I go to comment on each of these blogs, and I encourage everyone to read them, for you will find enjoyment as much as I have. 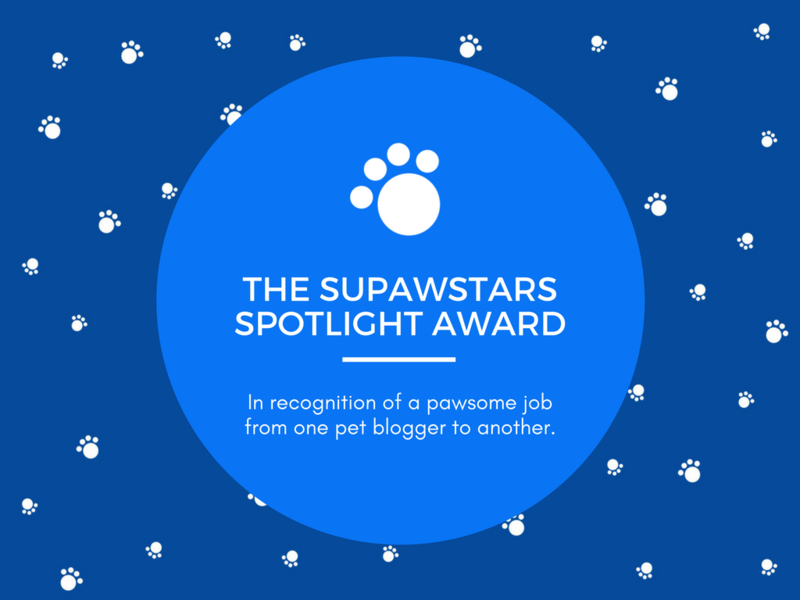 Thanks again to Pets Overload, who I would like to nominate right back, as a wonderfully funny, loving, and personal blog that reflects how living with cats is one of the best things about life! Patty O'Malley is injured; his ear is torn, and he's missing a rather large patch of fur on his neck. I managed to check him out closely this morning. He didn't want me to look, so I stuck my phone next to him while he ate breakfast, and snapped photos so I could get a visual. The ear is not a problem; that one is already shredded, and the other is ear-tipped. The semi-bald, fur-less area is what's worrying me: it's scary looking! I don't see any blood or sores; just pinkish white skin, and tufts of wet-looking fur. He's probably licking the area as best he can, or it's weeping a little bit. As much as my heart tells me to grab him and run to the nearest vet's office, The PO'M will NOT allow that much handling. I must trap him...which takes a few days. Instead of panicking, I and The Hubby agreed to look him over carefully, and if he's not healing, then the trap comes out and a vet appointment made. I'll monitor him all weekend, and will try to smear on some herbal ointment that I purchased at the holistic pet store. The ointment won't hurt him if he licks it, but it will aid healing. Below is a photo of the damage, but I'm making it very small, so you can avoid looking at it. I noticed a raccoon in the tree recently, but I've neglected to keep a sharp eye out for them. This could be a raccoon's handiwork, or perhaps another cat. I have always been a science fiction fan. 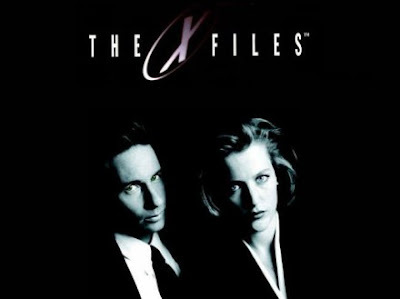 In 1993, a TV show "The X-Files" began, and I've been a passionate fan from Day 1. On the internet, I joined a group of like-minded folks, who were as crazy about the show as I, and we have a deep friendship to this day! Now, also being a cat person, I "gently" encourage any and all that I know, that being owned by a kitty is the BESTEST THANG in the world! And friend L in Texas just adopted kittens! She's a seasoned cat owner, but didn't have any felines for awhile. She's named the girl and boy litter mates, Scully and Mulder, after the characters in our favorite TV show. How cool is that! Welcome, Scully and Mulder! We look forward to hearing of your antics for years to come. Yes, I found this in the litter box this morning! How fortunate that we have kitties who love us, enough to make Valentine's Day art. Because we have sectioned off the house into zones: The Apartment, The Parlor, The Front Room, and Downstairs, we have duplicated water bowls, litter boxes, and toys in each zone. We needed a scratcher for The Apartment, and I found one rather by accident while shopping at a nearby pet store. Truth be told, I really want a big, hunkin', and expensive cat tree, and a big, hunkin', and expensive scratcher too! However, in the hopes that someday we'll no longer need these zones, I opted for a simple, largish scratcher...for now. Cost: $20, and it's plain, no frills, and all of the cats use it. Score! The Kittyslab is 20 inches by 15 inches, and about 2.5 inches thick. Surprisingly, Angel takes up a little bit more territory on it than she should, but nothing is left to fall over the edges, so 'slab' is a good descriptor. There is more info available at http://kittyscratchers.com/. 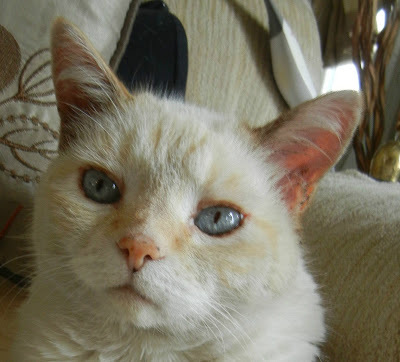 Our dear friend Kit was too ill to stay on Earth anymore, and now she's gained her angel's wings and flew to The Rainbow Bridge. The Hubby tends to doodle on scrap pieces of paper, and I collect his drawings whenever I find them. 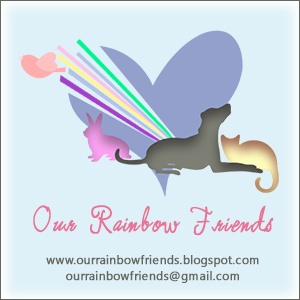 For some really excellent doodles, visit Four Legged Furballs! From my dear friends P & M, arrived in mail unexpectedly! A gift from my sister at lunch today! Try out my jigsaw puzzle! This is a photo of The Hubby hugging Chucky, taken many months ago. Chili Bruce, exhibiting his toe beans! Angel Wins Super Bowl Squares! Years ago, I entered a Super Bowl squares contest, and won the final prize on my first try. Strangely enough, I won again the next year too! The square that matches the last digit of the score for each team is the winner, one for each game quarter, and a person puts in money for each square that they complete. 3rd time was not the charm, and due to office rules against betting on company property, etc., such games have all but disappeared. 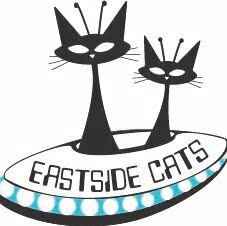 Therefore, I began making my own squares, with myself and The Hubby, and all felines living at Eastside Cats. The last two years running, Chucky won. So, it just seemed right for his sister Angel to win this time. The Hubby won one quarter, as usual, and I won NUTHIN'! I haven't won a thing since those first two times. The contest is just for fun, and it helps make an often boring game more enjoyable. Professional football claims to be a big deal here in America, but the N.F.L. 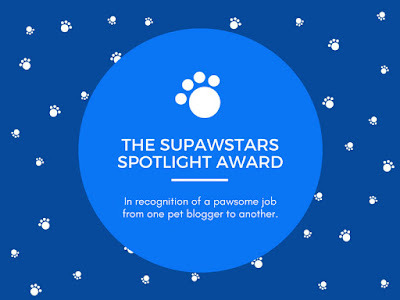 lost me as a fan awhile ago...read: Vicktory Dogs. The Hubby was raised on football, baseball, basketball, etc., so I spent a few hours working a crossword puzzle, a sudoku puzzle, and filling in squares as each quarter ended. No money is involved; it's just for show...and bragging rights before next year's game! Was thinking of holding off on any updates with the 'Great Integration of Da Boyz' until there was a big change, until it dawned that things happen in little ways, and they almost happen without notice. Such as Angel, seeming to prefer being upstairs in the apartment by herself. This morning, we 'parked' Manny and Chili Bruce in their safe room, allowing Angel free reign to roam. But she just wanted to stay in the apartment! Speaking to The Hubby this afternoon, he said that he too gave her opportunity to get downstairs, but she protested and stayed where she was. Yes...you! You, who are reading this post; I am thankful for every one of you! I appreciate the words of encouragement and suggestions for improvement of the integration process. The sheer, gut-wrenching emotion of yesterday has dissipated, but the wound needs time to scar over. Maybe we can blame it all on the full-blue-red-super-eclipse moon?!? This was the best I could do! So, let's get HOPPING! Thanks, Brian's Home Blog, for sponsoring!